[The tree] that does not produce good fruit. 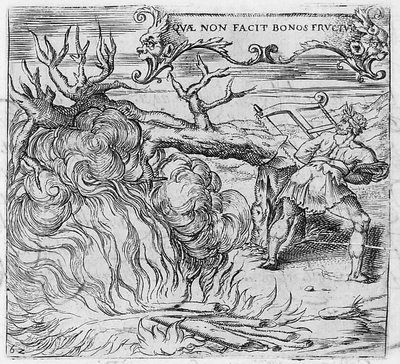 The unsuitable tree is brought to the burning pyre. Will be completely uprooted and crash into the flames..